Have you ever walked pass a store and found yourself stopping for a moment just to admire the beautiful window display? I know I have and not only do I find it fascinating but most importantly it draws me to go inside the store to have a look at the products they have. This is what you want to achieve in creating a beautiful storefront window display. You want to attract people passing by so they'll make their way through the doors and come out with a bag on hand. But how do you do that? Here are some tips that can help you out. 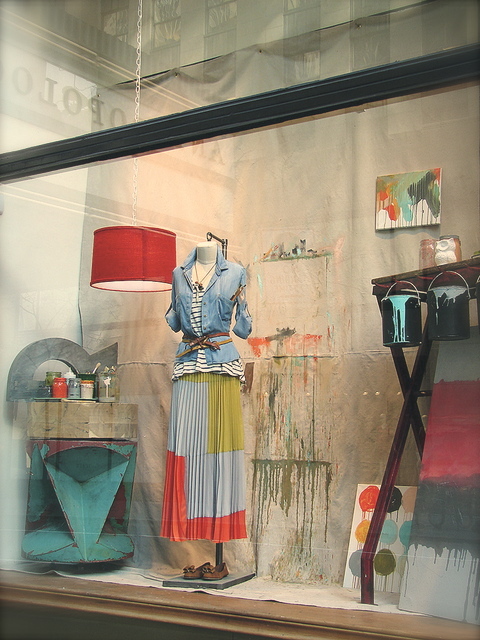 First and foremost your window display must be in line with your brand and products. You don't want to mislead people by display something whimsical but you're actually selling pots and pans. It doesn't work that way. You have to take elements from your brand and think of how you can play around with it so you'll attract the right audience. Are you going for a minimalistic look? Is it for a special holiday? Whatever it is you have in mind, you have to know exactly what you want and how you want to portray it. The easiest way to go about this is having a theme. It can be anything; rustic, playful, modern, vintage or even futuristic. As long as you know the vision you're going for, you're half way through it. Think outside the box. Don't be afraid to experiment with simple materials and making a dynamic statement. It doesn't have to be expensive. You can use old books, paints, photos, anything. If you have a big window display play up with volume, if not just use materials that can compliment each other and that it brings out the vision you have in mind. I hope you find these tips helpful. Just have fun and put your heart into it. 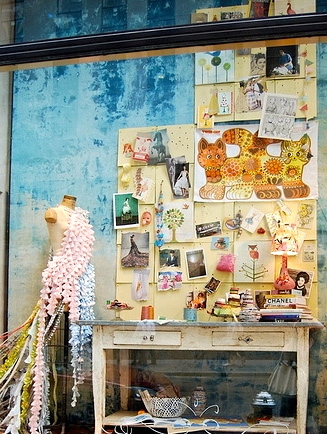 Whatever you create, I'm sure your storefront window display will look as beautiful as how you image it to be. Why Not Be More Mindful of the Moment?